A group of 100 child development experts and advocates has published an open letter urging Facebook CEO Mark Zuckerberg to shut down the site’s new messaging app aimed at kids. Back in December, Facebook launched the free Messenger Kids app, touting it as a safe way for kids under 13 to chat with family members and parent-approved friends. But health experts argue that younger kids aren’t ready to have their own social media accounts and say the app should be pulled. Led by Campaign for a Commercial-Free Childhood, the group of experts and advocates includes psychiatrists, pediatricians, educators, parenting organizations, and the children’s music singer Raffi Cavoukian. "Messenger Kids is not responding to a need - it is creating one," the letter states. "It appeals primarily to children who otherwise would not have their own social media accounts," the letter reads. Another passage criticized Facebook for "targeting younger children with a new product." The group says children under 13 aren’t old enough to navigate the complexities of online relationships or protect their own privacy. “They also do not have a fully developed understanding of privacy, including what’s appropriate to share with others and who has access to their conversations, pictures, and videos,” the letter continued. In defense of the app, Facebook released a statement emphasizing that parents are “always in control” of their child’s activity. "We worked to create Messenger Kids with an advisory committee of parenting and developmental experts, as well as with families themselves and in partnership with National PTA. 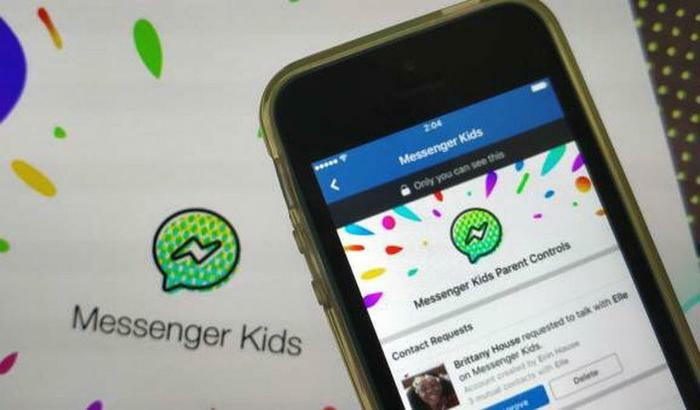 We continue to be focused on making Messenger Kids the best experience it can be for families," said Antigone Davis, Facebook’s global head of safety, in a statement to the Washington Post. However, the company has been accused of using Messenger Kids as a ‘gateway drug’ to get kids hooked on social media at a younger age, making them more likely to use their service when they become teenagers and can be subjected to ad-targeting. The group says it’s “particularly irresponsible” of Facebook to launch an app geared towards preschoolers when there is growing concern about how social media use affects children’s development. “[T]he app’s overall impact on families and society is likely to be negative, normalizing social media use among young children and creating peer pressure for kids to sign up for their first account,” they said. Earlier this year, Mark Zuckerberg vowed to try to make users “happier” in 2018 by making certain changes to the site. Shutting down Messenger Kids would be a highly positive move, the group of experts contend. “Doing better is leaving younger children alone and allowing them to develop without the pressures that come with social media use,” they said.